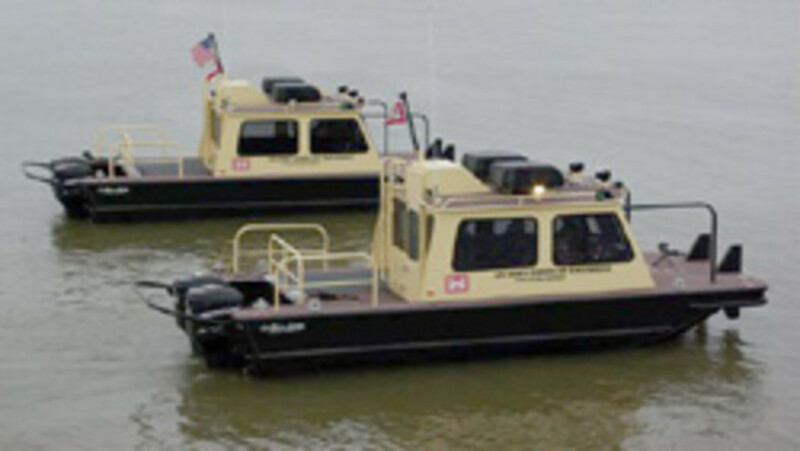 SeaArk Marine recently delivered two 2610 survey boats to the Army Corps of Engineers&apos; Rock Island District. The vessels are assigned to Pleasant Valley, Iowa, and Lock and Dam 18 in Gladstone, Ill. The boats are powered by twin Mercury Optimax 225-hp outboard engines with side-mounted dual controls and hydraulic trim tabs. These vessels can attain a top speed in excess of 34 knots, fully manned. The 2610 survey vessel is based on a cathedral hull designed by Monticello, Ark.-based SeaArk Marine that provides the excellent lateral stability that is necessary for survey operations and is capable of operating in shallow waters.